DUI checkpoints are meant for the safety of pedestrians and drivers. It is created to ensure that inspectors catch incapacitated drivers to prevent accidents that may injure the driver and others in the area. It is not necessary that the police have a probable cause to halt you for a checkpoint because the checkpoint is typically done in DUI accident prone areas. With that in mind, there are certain things that you need to know when approached by a DUI inspector. Understanding your rights will protect you as well as make you have wise decisions when driving or when you get pulled over for questioning. You have to be aware that DUI checkpoints demand a week-notice by law enforcement. It is not something done by surprise. Local TV stations and papers, social media sites, and other law enforcement departments typically notify them. It is not unconstitutional to not be notified about the checkpoint in advance, however, you can bring this up to court in case you get arrested. In some states, checkpoints are approved by Vehicle Code 2814(a) which states that "A driver of a motor vehicle shall stop and submit to sobriety checkpoint inspection conducted by a law enforcement agency when signs and displays are posted requiring that stop." It is okay if you do not want to cross a checkpoint. There is no law that forces you to cross through a DUI sobriety checkpoint. If there is an alternate route around, you may go through it accordingly. However, the police will pull you over if you seem intoxicated. The police will initially look for signs of intoxication based on your physical state alone. Being unable to answer questions logically, having watery or red eyes, slurred speech, and driving irregularly are just some of the symptoms that they will take into consideration. These symptoms, however, do not always equal a DUI. As an example, some allergies can cause your eyes to turn red. It can also be that you were getting something that is why you swerved while driving. There are also other symptoms that officers can take into consideration. During a court hearing, your DUI defense lawyer will explain these things. 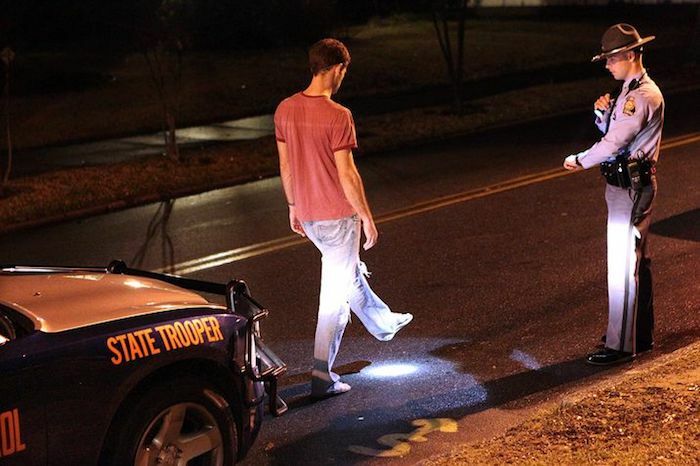 Field Sobriety Tests are not always dependable. Just like police judging your level of intoxication based on your physical appearance, these tests assess your physical and mental abilities and can be misrepresented depending on your physical coordination, level of fatigue, or nerves when the test was taken. Police usually use Field Sobriety Tests in giving DUIs, but a DUI lawyer can explain some factors in the court hearing. Just because your bondsman has let your loved one out of jail doesn't mean there's no more problem. Your loved one should go to court as their legal obligation. Your job is to make sure they make it on time and don't forget their obligation. Encourage them to attend the sessions and never allow them to skip the hearing. Suspicion cannot be a reason for you to be arrested. The police cannot take you just because they suspect you of being under the influence. There are proper procedures that need to be followed. These procedures are created to protect drivers from police misconduct. DUI checkpoints employ three main procedures for asking someone to pull over. Officers have the authority to pull you over because you are at a DUI checkpoint, even without a probable cause. Unlike with criminal investigations where the basis for probable cause is facts and not suspicions, with DUI, the difference is not clear. If the officer suspects that you may be incapacitated to drive, you might be pulled over. "You have the right to remain silent. Anything you say can and will be used against you in a court of law. You have the right to an attorney. If you cannot afford an attorney, one will be provided for you. Do you understand the rights I have just read to you? With these rights in mind, do you wish to speak to me?" If, after it has been read to you, you wish to remain silent, the questioning must stop until you get a lawyer or until further notice. However, if the officer arresting you is not interrogating you, there is no need for the Miranda rights to be read out. In some states like Florida, officers should follow Title 17 of the Florida Code of Regulations when it comes to blood and urine tests to check for alcohol levels and breath test. If any of these tests is tampered, or done inaccurately, the test can be void. If you do face a DUI arrest, please contact Trinity Ball Bonds Tampa immediately to secure your bond and freedom from jail. We are available 24x7 and 365 days a year with bail bond agents standing by.